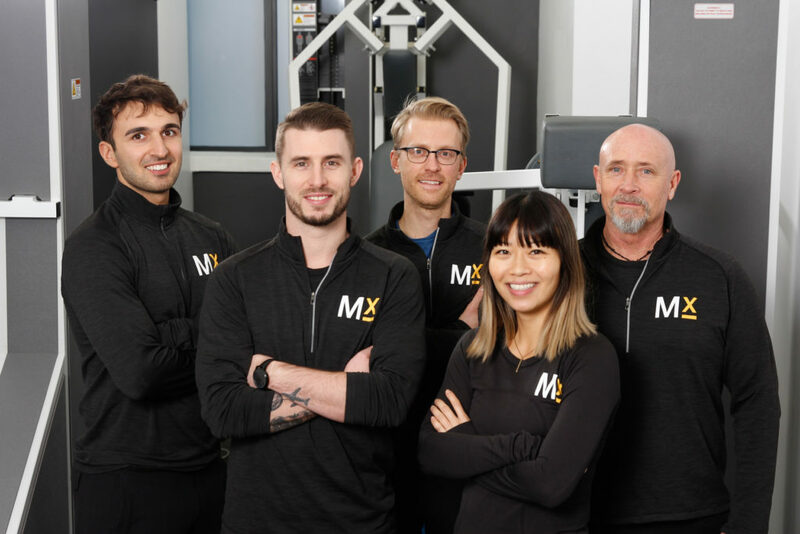 Blair Wilson is the owner of MedX Precision Fitness and is a successful high-intensity training expert and professional, having been mentored by none other than John Little himself. Blair has worked as a professional water skier and has trained many clients from different walks of life, has himself been involved with and contributed to several influential studies on the mechanisms of fitness and weight loss – two of which have been published in international publications – and he is also a founding member of the Canadian Sarcopenia Foundation. Today Blair continues to help and train people of all ages and abilities using his precise, exacting approach to high-intensity training along with a variety of other complementary methods and approaches designed to keep people healthy, build muscle, and optimize body composition. “I misstepped on a couple of facts; most importantly the one about obesity rates. I was citing a 2014 Canadian study on BMI stuff, and I quoted the combined ‘overweight’ and ‘obese’ numbers rather than just the obese ones, but I can always provide the data on that if someone calls me out. Excellent podcast Lawrence and Blair! Learned a ton and loved how you discussed the macro, more important issues such as the 90% who don’t exercise, getting people to care about their mobility, business, etc. Question for Blair – what 3 exercises does he use in his once-a-week training? Or does he vary it and if so which ones? Thank you David! :D. I’m glad you found this episode helpful. I will nudge Blair to answer. I typically focus my 3 movements on a compound push, then a pull, then legs. Always have the legs in there. Bang for buck, efficiency, etc. Right now I am training my legs in a unilateral fashion due to injury, so I guess in all technicalities I am in fact doing a 4 set workout. I usually pair the row with a bench press, and the pulldown with a shoulder press. Sometimes I will swap things out for a weighted chin or dip on my nautilus multi ex – I love that thing. Usually with those I will go to positive failure, and then waltz up the steps and continue on towards negative failure. I love it. If I am feeling fancy (and have two functioning lower limbs), I will occasionally throw in lunges/split squats, deadlifts, bicep curls, hip thrusts, or any other fun movement I wish to highlight, but always following the same principles, and keeping biomechanics in mind. RARELY, if ever, do I do a second set (I say that only because I can’t definitively say never – I might have done a second set at some point in the last 13 years), I always train to failure, and my TUL hovers around 1:30. You’ve gotta have fun, too, right? Sure, I realize there are neurological considerations to all of this stuff, but I track my progress via the BodPod and load increases (the weight goes up, the time remains fairly constant at a measurement of failure and not at a measure of simply time elapsing), so I like to think thats a strong representation of the least amount possible for the most gain. I have tried other tactics, as mentioned in the podcast, but I keep coming back to this sort of strategy, as it seems to yield the best results for me and my context. Better every year is a pretty rad thing to experience. And largely injury free aside from my antics as a stuntman. That’s incredibly helpful and thank you for the detail! I myself had settled upon a split routine of roughly chins, shoulder press, leg press one week; chest press, row, leg press the next week (with some hip ab/ad, lumbar ext occasionally thrown in). This seems to work well for me, but had recently tried upping the volume after hearing Menno Henselmans / Ted Naiman talk about the ability to train full body to failure multiple times a week and also do HIIT. Quickly found out I can’t – how humbling! Your data has assured me that once a week might be best not only for my sanity and time, but also energy, progress, and health. Getting better every year certainly is rad and commendable. Injury free as well as I hear more and more of my peers having nearly-debilitating injuries at seemingly young ages. Sorry to ask the complex and as you know very contextual questions, but I’m curious what your diet is like? As I am a Precision Nutrition guy, I follow a simplistic form of eating that focuses more on the composition of my plate rather than my macronutrient profile. I have tracked my macros in the past, and I don’t discount the merit of doing so, but my strategy is more aligned with my context and goals right now, and I appreciate the simplicity. To break it down, and give you a high-level overview; I utilize my hand as a relative measure to my requirements. I aim to eat 6 – 7 palm-sized portions of protein, 4 – 6 fist-sized servings of veggies, and aim for about 5 or 6 thumb-sized portions of fat. Smart carb choices are typically concentrated to times surrounding workouts, and are referenced in size by utilizing a cupped palm. The inclusion of the GOOD stuff typically forces the ‘bad’ stuff out of the picture, and as a result, my choices are predominantly nutrient dense, and what would be considered ‘healthy.’ I avoid foods that make me feel like crap, and include the stuff that makes me feel invincible. I eat like this 85 – 90% of the time, and quite effortlessly to be honest. I batch cook early in the week to set me up for breakfasts, and lunches for the rest of the week, and I spend time making awesome dinners every night with my lovely girlfriend, as I really do enjoy cooking, and hanging with her and my dog in my kitchen. To touch on the logic of using your hand as a measure and starting point; I operate on the assumption that a palm-sized portion of lean protein will contain between 20 – 30g of protein. If we average that out at 25g, 7 of those will give me a protein intake of approximately 175g per day. Give or take. And I front load it so my breakfasts are bigger than my dinners, and that’s both personal preference, and literature dependant. I’m currently sitting at a bodyweight of 163lbs, and a body fat percentage of 11.9% as per my last BodPod reading on March 22nd. I’m 5’8, and partially broken hahaha. I have utilized intermittent fasting as a tool in the past, and think it has merit, but I have a slightly different view on it that more so aligns with circadian rythms rather than skipping breakfast. I have experimented with keto diets, and have clients with autoimmune conditions that I coach to eat like that with wonderful benefit. I try to remain nutritionally agnostic, and aim to help people improve their context rather than force my personal views on them. I try to guide them with the science, but at the end of the day, the majority of us will benefit more from understanding that perfect shouldn’t be the enemy of good rather than trying to change every facet of our approach just because an 8 week study says something different. This is a pretty diplomatic answer, for sure, but it gives you a sense of my day to day, and a peek into my coaching mindset as well. Wow that’s very helpful as well. I really appreciate the template and have looked at the precision nutrition information. The portion sizing makes a ton of sense. I’ve personally followed a LCHF type of diet (paleo, primal, keto, zero carb) for almost 3 years and have found it very sustainable. I also practice IF and eat only lunch and dinner. I have always wondered about Bill Lagakos’ view and all the research on circadian rhythms with regards to skipping breakfast and have thought about trying skipping dinner instead or possibly switching to one 24 hour fast once a week instead. You mention your answer was diplomatic, but actually the detail combined with simplicity is really insightful. Coaching nutrition is something I could never bring myself to do for fear of the controversy and wars, but I can see that you’re making a truly meaningful impact on many lives between your nutritional advice to clients, training, and work in sarcopenia! Keep up the great work and thank you again for the helpful advice. Hey Blair, I was wondering what cadence you are doing? You said your TUL hovers around 1:30, so are you doing more of a 10/10, or more of a 5/5, etc.? I focus more on effort than a time, Ricky. If you were to average the reps out over the minute and a half, you might conclude that I am close to 10/10, but I may start and finish my first rep in a 30-second round trip. Then as I fatigue, and my confidence starts to wane, I will start the rep VERY slowly, and then gradually, slightly accelerate (loosely used term – this ain’t a fast process by any means) to be able to complete the rep in 6 or 7 seconds followed by an intended 12-second negative. That might happen on the second rep, or maybe the third, but the weight NEVER gets ahead of me or away from me, and I attribute that to the dampening effect of starting slowly and making the first few inches of movement take about 1/4 of the time. I don’t sling the weight, I don’t de-weight, I don’t lose control, and I maintain form. I focus on the flexion, and the energy required to move the weight. I’m aware of the cadence, but it isn’t a hard and fast 10/10, or 5/5, or even a hard 6/12 for that matter. When I am able to go as slow as possible; I do. I do because I can, not because it’s magic. Then, as I fatigue, I increase the cadence on the positive for the sake of confidence if required, but always dig my heels in on the negative and hunker down. I’ve performed protocols in the past where I did a 60-second lift followed by an attempted 60-second negative, then tried to turn it around for rep two and then pushed against the stuck point at the end for as long as I could when I hit positive failure. To me, focusing on the rep cadence has the potential to degrade what I think the focus should be – effort. Great podcast Lawrence. I really enjoyed Blaire Wilson. Sounds down to earth and a great guy. Keep it up Lawrence. Cheers Jon :D. I’m really pleased you enjoyed it. Another great interview ! Keep em coming . Just curious how the Bod Pod compares to the Fit3D scanner? Hey Stephen – Haven’t used the Fit3D scanner so can’t comment, but I think it’s unlikely it will be as accurate. I’ll ask Blair to chime in. I’ve heard of a third body composition measuring device called Inbody. Infact, the salesperson I spoke to mentioned that Blair may have tested Inbody against Bod Pod for a month and found the Inbody to be more accurate or reliable or consistent. It would be great to know Blair’s experience with these devices. Hey Stephen – that’s really interesting. I’m not familiar with the Inbody device. I’ve followed up with Blair, but he’s a busy boy running MedX Precision Fitness, so can’t say when he’ll get a moment to provide input! You may want to go direct to him via twitter or his website as per the show notes above. Stephen – please see Blair’s recent response to your question above. Hey Stephen – I have no experience with the Fit3D, but my working knowledge of it is that it is an external measurement device rather than internal/composition device. Apples to oranges from a comparative standpoint. BodPod to Inbody is one that has my interest. I’ve never used one, but I’ve done a lot of reading on them, and do think they’re great for a number of reasons. There aren’t a lot of comparative studies out there to determine which one is more accurate, so I can’t say with any conviction which one is better, but I do know that context is important. There is likely a cohort of people that the Inbody and it’s bio-electrical impedance process is accurate for, and vice versa. When the BodPod variables (recovery, food, hydration, time of day, temperature of the room, etc.) are controlled for, the accuracy is on par with a DEXA scanner. Anyone that says otherwise is missing a few pieces of the puzzle when it comes to getting an accurate reading. I am biased, of course, as I own one; but I have tested the heck out of it in comparison to other devices, and find it to be fantastic. I’m curious to know who that sales person was, as I have never used one.